I look forward to helping you find the right vehicle to suit your wants and needs. Warren Auto Brokers is owned and operated by Sean Warren. 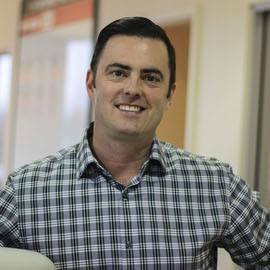 Sean has over 19 years experience working in the Victoria auto industry. Sean is born and raised in Victoria and has lived here all his life. Sean has managed major franchise dealerships for a well known auto group since 2002. After the birth of his third child he decided it was time to fulfill the lifelong dream of running his own business based around a passion for the automobile! At Warren Auto Brokers we feel a responsibility to offer a great product at a fair price. No high pressure sales tactics. If you are buying a used vehicle from us you can feel confident that the car, truck or SUV has been inspected and is safe and clean for you and your family. We have had a few people ask what exactly is Warren Auto Brokers all about? We are a new kind of used car dealership. No fancy showroom. No commission sales staff. No documentation fees. You deal with the owner on every transaction. **We carry an inventory of hand selected used vehicles. (cars, trucks, SUVs!) What kind of used vehicle are you looking for? **Are looking for a specific used vehicle? Let us know and we can let you know when the right vehicle comes in! **YES we will take your old car on TRADE! I am looking forward to helping you with your next vehicle purchase!! If you or anyone you know is in the market to buy a great used vehicle give us a call and make sure you never pay too much for your next vehicle!